This is in a bid to promote entrepreneurial skills among them and allow them more free access to credit and try to increase their export potential. The governor was delivering the closing remarks at the Asia-Pacific Rural and Agricultural Credit Association (APRACA) Regional Policy Forum at Colombo Hilton on Monday. It’s very import that financial institutions be more flexible and innovative in dealing with micro, small and medium enterprises. “Financial institutions must have a proactive and value-added engagement and build relationships with their borrowers, helping improve their bankability. 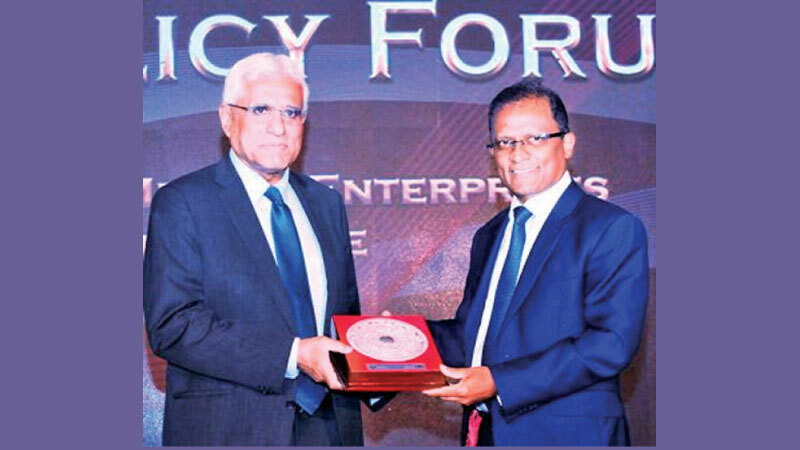 Financial institutions most importantly should change their internal credit evaluation and risk assessment processes to increase the quality of management decision making, in order to serve the MSME sector better,” Coomaraswamy. Most importantly financial institutions should change their internal credit evaluation and risk assessment processes to increase the quality of management decision making. Dr. Coomaraswamy said in the current environment of a depreciating currency, it was advisable for the MSME sector to be oriented towards the export sector, helping to increase the foreign currency inflow to the country. Moreover, in order to promote entrepreneurial skills among the wider population, the Central Bank of Sri Lanka is advocating including financial literacy and entrepreneurial skills development aspects in to the school curriculum, which would be implemented within the wider framework of the National Financial Inclusion Strategy of Sri Lanka.